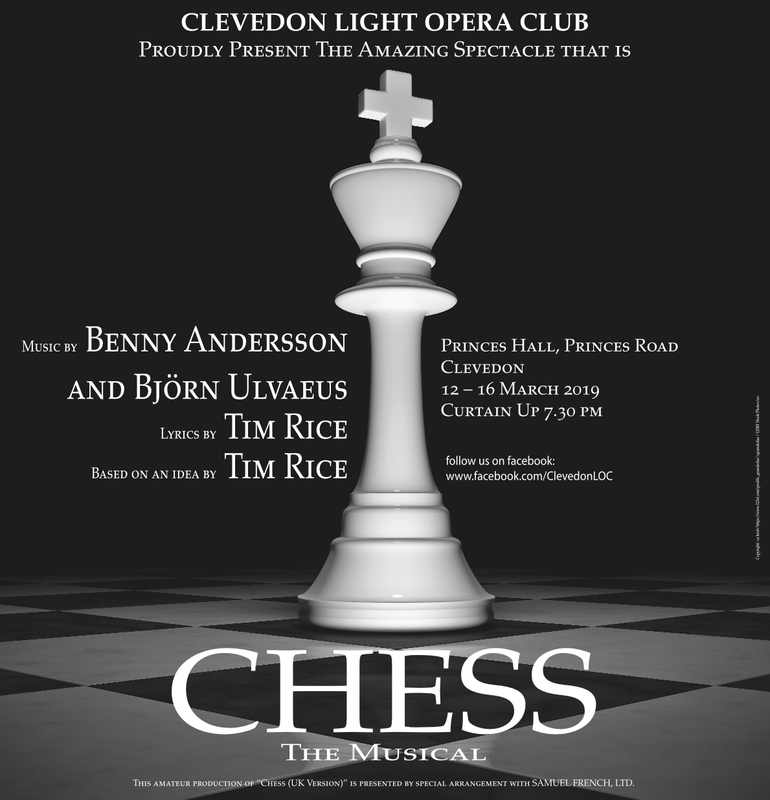 Chess is a highly acclaimed musical with lyrics by Tim Rice and music by Björn Ulvaeus and Benny Andersson, formerly of ABBA, based on an original idea by Tim Rice. The story involves a romantic triangle between two players in a world chess championship, the loutish American Grandmaster and the earnest Russian champion, and a Hungarian-American female chess second who manages one and falls in love with the other. The story develops the ancient and distinguished game of chess into a metaphor for romantic rivalries and East-West political intrigue. From Tyrol to Thailand the players, lovers, politicians, CIA and KGB make their moves to the pulse of this monumental rock score including "One Night in Bangkok" and "I Know Him So Well". This Amateur version of "Chess (UK Version)" is presented by special arrangement with Samuel French, Ltd.